We developed a totally unmissable vehicle livery design and huge brand presence on the UK’s highways. As a rolling advertisement seen by millions of people up and down the nation’s roads every day, good vehicle livery design is a perfect opportunity to reinforce your brand presence. 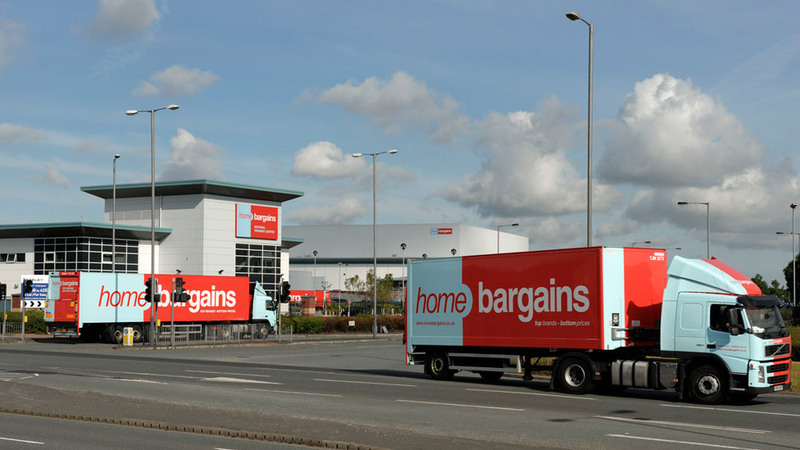 For discount retail giant Home Bargains, the task was made easy for us by their distinctive logo – which also happened to be almost exactly the same proportions as the side of their vehicles. Taking their logo and applying it to the sides of the lorries and wrapping the colour scheme right round the front of the cab and back doors has resulted in a totally unmissable vehicle livery design and huge brand presence on the UK’s highways. Parker have provided a super service, great designs produced under very tight time constraints.